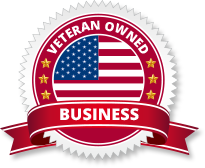 ATP, Inc is a veteran-owned small business, GSA Scheduled Contractor as well as an IATA Accredited Training School. At ATP we do business according to the doctrine that safe and compliant delivery of your products cannot be compromised. We are specialists in packaging products of every kind, with specific expertise in the handling, transport and training of hazardous materials. Due to the technical nature of hazmat, our procedures incorporate the meticulous attention to detail that compliance with government regulations requires. We design creative packaging solutions that accommodate even the most challenging products and we have in-house experts to give personal attention to the needs of our clients. With a full-time onsite Facility Security Officer located at our corporate headquarters, confidentiality is a big part of our overall mission. Our outstanding past performance reviews and scores, along with our Veteran owned status enables us to be a key teaming partner on hazardous, training, compliance and packing operations domestically and internationally. Clients hire us to mitigate their risks, from in-house audits to onsite crating on sensitive projects around the globe. For further information, please contact info@alltranspack.com.